Size: 15" x 19". 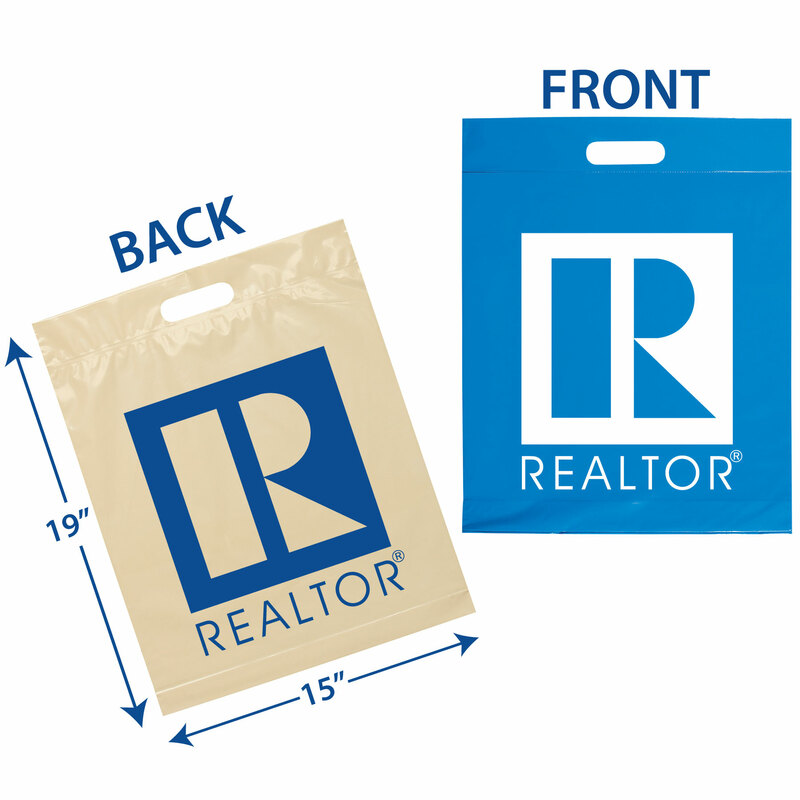 Tuck away all of your event or party favors into this Die Cut Bag. 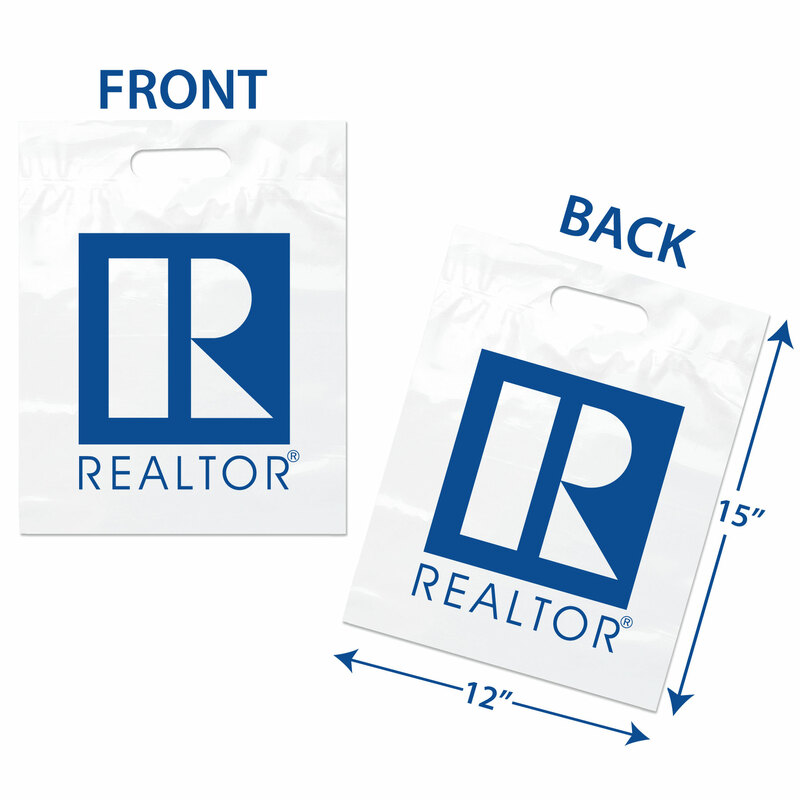 Lightweight and easy to carry, this plastic bag features a die cut fold-over reinforced handle with a 3-inch gusset, 2.5 mil. low density film thickness. 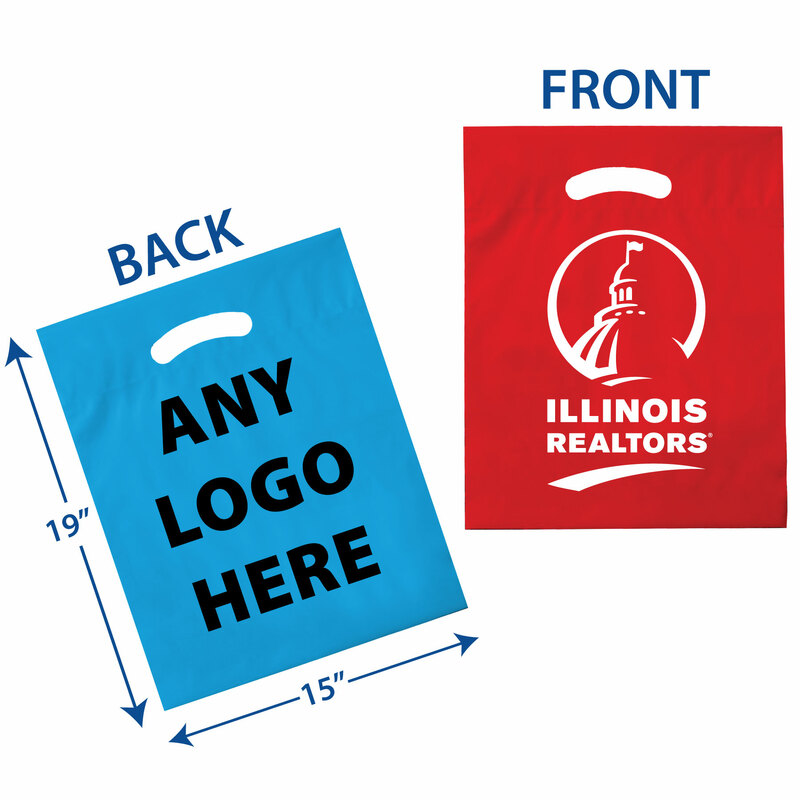 250 Minimum, many logo and bag colors to choose from: Try our large "Special Order" bag. Your item is "Built to Order"